NEWS ANALYSIS: As the consequences of lower oil prices seep into Norway’s economy, industry leaders and the government are quarreling over whether the country now faces any real crisis. Government ministers claim it doesn’t, while once-high-flying oil industry officials and local politicians in communities hit by layoffs strongly disagree. In Stavanger, long known as Norway’s oil capital, many have a different view. New cutbacks at local oil- and offshore industry firms are being announced almost daily, with the ripple effects felt among everyone from hotel and restaurant owners to taxi drivers and real estate brokers. “The word ‘crisis’ was misused earlier, but now it’s serious,” Ståle Kyllingstad, who runs a company that supplies the oil industry, told DN. He had to cut staff by 150 himself, while the layoffs confirmed and announced this week by both Statoil and National Oilwell Varco (NOV) sent a new shudder though the industry and the community. The city of Kristiansand, where NOV had a large operation, is among several in Norway bracing for harder times. The decision-makers in Norway’s capital of Oslo, along with those working in finance, other industries, the arts and not least the environmental movement, are catching flak for criticizing or not supporting the oil business, while reaping the economic benefits it has provided. On Thursday, both the Socialist Left party (SV) and the Greens voted against formal approval for development of the huge new Johan Sverdrup oil field, and were promptly accused of being among Oslo residents who simply don’t understand how important the oil industry has been for all of them. Politicians at the other end of the politial spectrum, not least those in the Conservatives-led government, were accused of “twiddling their thumbs” and not addressing the crisis. “Oslo folks are a bit like the SVers,” wrote Stavanger-based commentator Jostein Løvås in DN on Friday. “They like the money that comes from oil, but not oil.” He worries that Oslo residents may simply assume that the capital’s high real estate prices, flourishing restaurant business, busy shopping centers and massive construction projects are sustainable, and that they lead environmentally conscious lives themselves. As they drive their expensive electric Teslas, it’s argued, most would never agree that they have ties to the oil industry. Their lives may well have been different, however, without the oil revenues that have poured into the state treasury and the rest of the economy, and provided the financial foundation for projects from the Opera House to new museums and other social and cultural ventures. Oil industry players, especially those representing workers who are losing their jobs, complain they’re not getting the sympathy and support they need at the moment. They’ve grown weary of hearing Solberg and Jensen talk about the need for diversification of the Norwegian economy and adjustment to a world with lower oil prices. 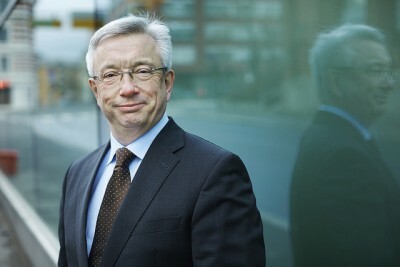 Now they’ve replaced their top lobbyist at their trade association Norsk olje og gass with Labour Party veteran Karl Eirik Schjøtt-Pedersen, a former government minister and top aide to ex-Prime Minister Jens Stoltenberg. 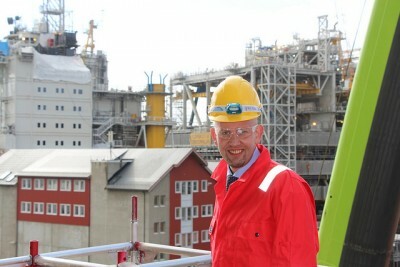 Schjøtt-Pedersen, who’d been looking for a new top job himself since Labour lost the last election, is now charged with promoting the oil business, making it easier to boost oil exploration and, basically, to win more respect for the industry that greased Norway’s way to becoming one of the wealthiest countries in the world. Even though the Labour Party tries to portray itself as environmentally conscious, it’s mostly concerned with creating and maintaining jobs, and Schjøtt-Pedersen quickly riled environmentalists by voicing support for oil drilling off Lofoten. There’s been a cease-fire in that battle, and the dive in oil prices has cooled industry interest, but the issue is bound to flare up again eventually. There are some who do think government ministers have recognized an oil crisis, but criticize them for that, too. Professor Petter Osmundsen, who specializes in petroleum economics at the University of Stavanger, has accused the current government of blackening oil’s image and putting too much emphasis on diversification, scaring off students in the process. “The government is using an orchestrated crisis in the oil industry, probably to underscore the need for economic reform of mainland industry,” Osmundsen told newspaper Aftenposten last spring. He thought the government was spreading too much pessimism about the oil industry’s future. Leif Sande, leader of the major oil workers’ union Industri Energi, claims he’s optimistic about the long-term future of the oil business in Norway. 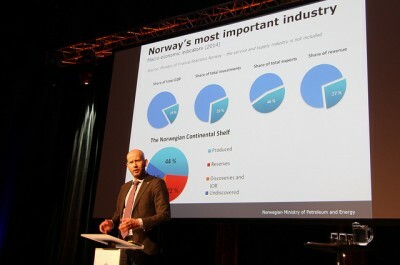 Most agree that fossil fuels will still be around for a long time, despite new efforts at developing alternative energy, and Sande stresses that 55 percent of Norway’s offshore oil is still under the seabed, waiting to be discovered. Tina Bru, oil policy spokesperson for the Conservative Party that leads Norway’s government coalition, called Sande’s criticism “unreasonable,” pointing to the government’s efforts to provide new opportunities for laid-off engineers in other branches, its granting of new oil field licenses and creation of “predictable framework” for future operations.